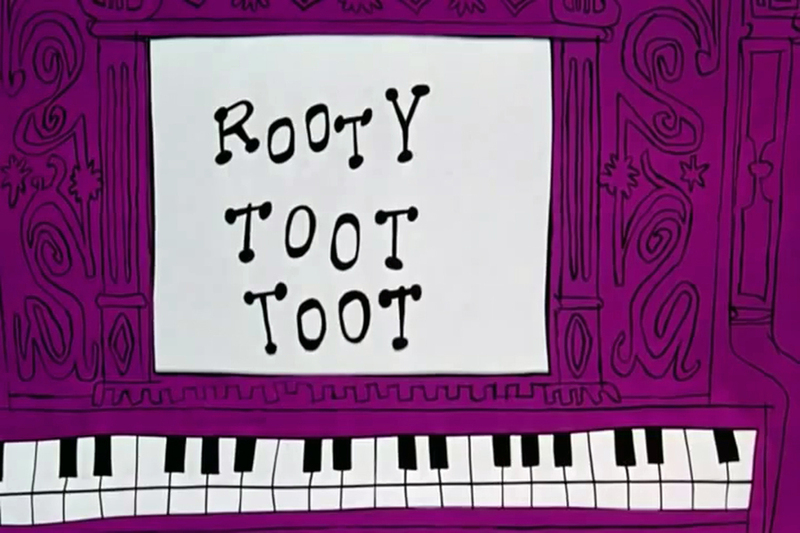 after a long time I recreated some more backgrounds, from the 1951 UPA short – ROOTY TOOT TOOT. directed by JOHN HUBLEY the main animators were GRIM NATWICK and ART BABBITT. you might have guessed it, the amazing styled layouts and backgrounds were created by PAUL JULIAN. the film was voted in 1994 one of the best ’50 greatest cartoons’.